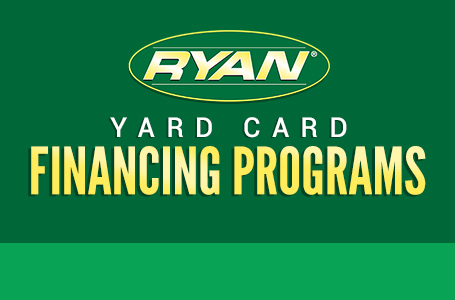 Ride or walk behind the performance and dependability of the Ryan® Heavy Duty Sod Cutter. 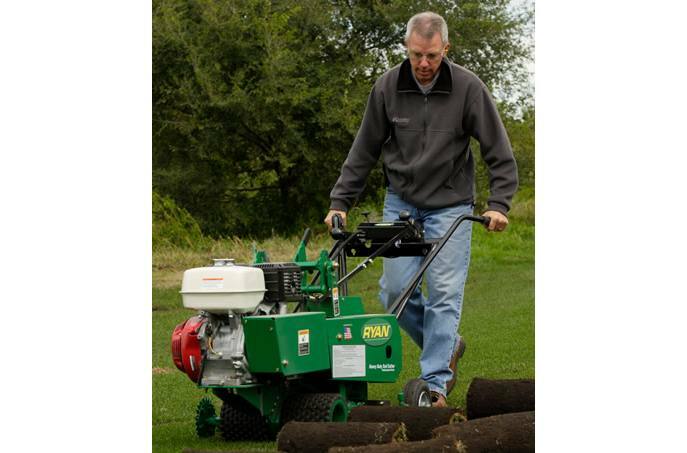 Large enough to conquer big jobs yet still easily portable, this unit is ideal for sod farms and sports fields. 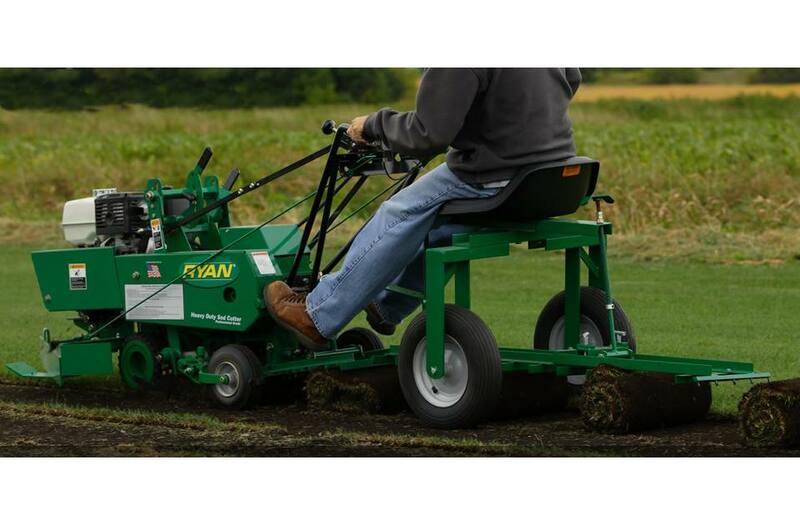 It is capable of cutting and rolling up to three acres of sod a day. No sod cutter has ever been more user-friendly. Adjust blade depth, change blade angles and control the handle-mounted throttle all from the operator’s station. A cutting-depth guide helps ensure that every adjustment is accurate. An automatic sod cutoff blade provides precise cutting of the sod strips. The forward metering wheel measures the length of the sod strip and triggers the automatic cutoff blade. Sod strips can be cut in lengths from one to six feet long. Want even more efficiency? The available sulky roller kit allows you to cut and roll at the same time. The only thing you’ll be rolling up faster than the sod will be your bankroll. Durable cutting blade is easily adjustable down to a depth of 2 ½” and can change angles to match soil and blade conditions. A forward metering wheel helps measure and cut sod accurately. 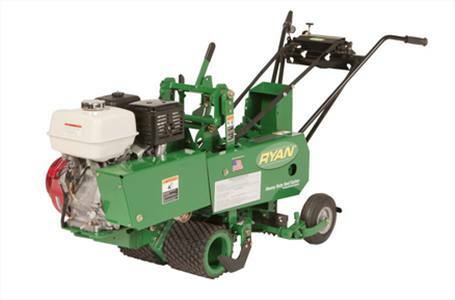 Automatic sod cutoff provides precise cutting of sod strips from one to six feet long.